After fending off the Shadow Men from destroying the entire world in their last outing, David Wong and his friend John are trying to live out their days in relative peace and comfort in the disappointingly strange town of [Undisclosed]. However, Jason Pargin had other plans for the now practically cult-classic duo, suiting them up for a new round of adventures in This Book is Full of Spiders. 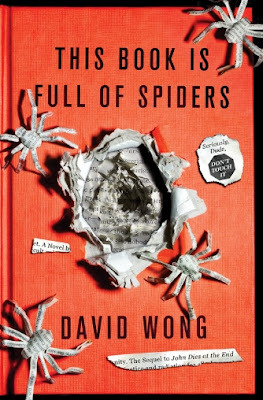 Things begin kicking into motion when Wong finds himself face-to-face with an alien spider-like creature trying to eat him alive in his bed. Besting the alien scum with the help of his ever-loyal dog Molly, David knows it only marks the beginning of another stupid journey, one he needs John for. With one thing leading to another, Wong's house ends up burned to the ground, and the now-countless invisible spiders (which only he and John can see, due to their encounters with the “soy sauce”) run rampant in the town, burrowing their way into people's skulls, nesting and waiting for the right time to take over and turn them into monsters. When Richard Phillips began writing the original Rho Agenda trilogy, it felt like he was writing in a style made to cater to young adults more than anyone. However, it feels as if his progression through the story pushed him more and more towards the boundaries of adult storytelling... as if the author was still searching for the approach he liked best. 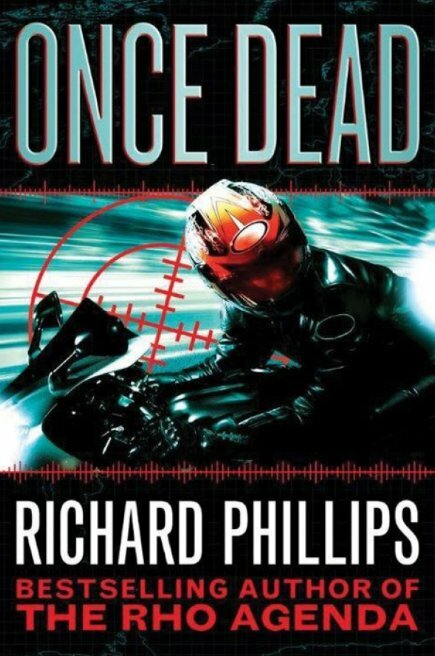 Feeling he could make a good expansion of his universe, he set out to write The Rho Agenda Inception series, with the first book being Once Dead. To give a brief overview of the main story, we are presented with Jack Gregory and Janet Price, two number one-type assassins who, in the previous stories, weren't much more than a supporting cast. In any case, as Jack Gregory is bleeding to death on an operation table, an alarming second chance presents itself. Some strange alien entity, Anchanchu, is offering him a deal: he gets to live, but the alien uses Jack as a host, essentially possessing him. Needless to say, when Jack had to make the decision between certain death and potential doom, he chose the latter. One year later, things are going rather decently for him, except for all the weird compulsions, visions, thoughts and premonitions haunting him on an almost-daily basis... in addition to his irresistible attraction to adrenaline-pumping events. Throw into this mix Price who turns into an ally, the Koenigs with a great plan to change the universe, Big John an NSA computer, a Russian mobster named Rostov, the directors of the NSA and CIA, and you've got a recipe for an adventure where there will be many more questions than answers. For as long as men and women have existed we have been killing each other in innumerable ways, and even though modern life has drastically reduced our chances of dying a violent death, the thought of it still stirs something deep within us. If there is one type of killer we've come to fear in today's society more than others, it is perhaps the deranged serial killer. He or she can camouflage as a normal member of society, can never be reasoned with, and can never stop doing what they are driven to. Since the times of Jack the Ripper these killers have captured our imaginations in one way or another, and so it shouldn't be surprising that they've made their way into the world of literature long ago. In Career of Evil by Robert Galbraith (J.K. Rowling's pen name), Cormoran Strike returns and is sent on a hunt for a serial killer that has a real affinity for dismemberment. To briefly explain the plot without giving anything away, one of detective Strike's subordinates, Robin Ellacott, has received a package in her home: a severed woman's leg. Needless to say, Strike plunges right into the thick of things, making a list of possible suspects from his past who may have committed such a heinous crime. And so, together, they go in pursuit of a madman who will no doubt continue his body of work. Since the moment we were born the quest to find our place in this world has been thrust upon us, and for many it is one that haunts them from beginning to end, never really finding the crevice they fit in perfectly. Nevertheless, we keep on living through life in hope of answers, understanding and meaning, many coming to the conclusion that we ought to carve our own places in this world, rather than search for them. 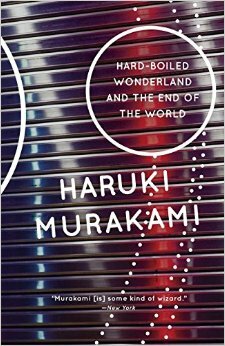 In Hard-Boiled Wonderland and the End of the World, Haruki Murakami presents us with two parallel stories centred on that idea in their own ways. In the first story we are introduced to a futuristic world where information is the number one most coveted resource, and of course the catalyst for many misfortunes to come. 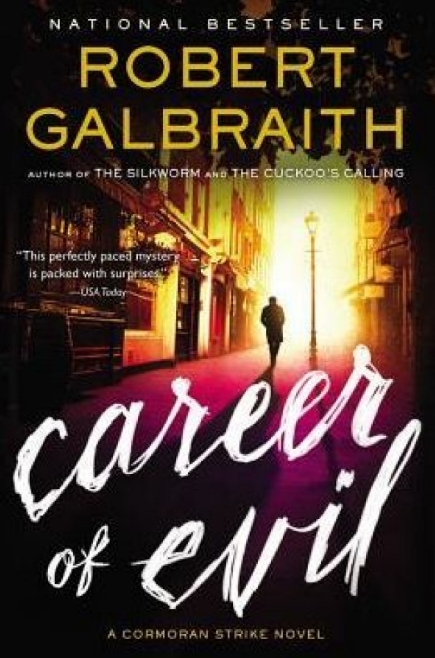 Without going into too much detail, we follow a Calcutec man whose job consists of laundering and encrypting data, finding himself embroiled in a conspiracy resulting from a genius researcher's forays into ways of manipulating the human subconscious, his mind the key to an incalculable breakthrough. Complete with unicorn skulls, sound removal, an annoying and destructive duo as well as the help of two peculiar women, the Calcutec's adventures are just beginning, and take him to the most unexpected places in his own consciousness. 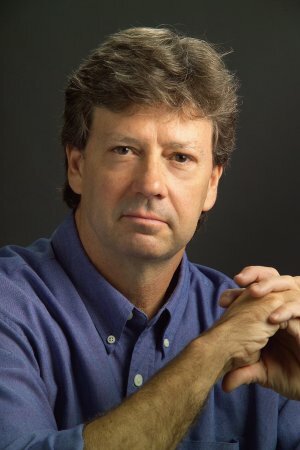 Glen Craney is an American author, novelist, journalist and lawyer with degrees from Hanover College, Indiana University School of Law-Indianapolis, and Columbia University's Graduate School of Journalism. He has taken to writing novels with more of a historical penchant, such as The Virgin of the Wind Rose and The Fire and the Light. Good day to all our fantastic readers! We've recently had the opportunity to conduct an E-mail interview with Glen Craney author of The Spider and the Stone as well as The Yanks are Starving, both of them received with exceptional critical acclaim. And so, taking our change, we picked his brain a bit in regards to his relation with literature, and here are his (very detailed) answers, hopefully you'll enjoy and learn from them as much as we did! Q: As is known in the biographical elements made public, in addition to being an author you are also a journalist and a lawyer. When and how did you decide to turn your life towards writing fiction rather than fact? GC: Thanks for hosting me, David. I came to fiction later than most novelists. Following stints as a trial lawyer and political reporter, I had a flirtation with the movie business after winning the Nicholl Fellowship, an award given by the Academy of Motion Pictures, Arts and Sciences for best new film writing. 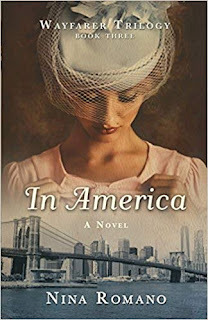 Readers often tell me my novels have a cinematic feel. Maybe that's because I learned screenwriting first. I discovered how difficult it is to get any movie produced, but particularly an intelligent, sophisticated one that stays true to historical events. The original writer's vision usually gets lost in the shuffle of multiple writers and studio demands for taking dramatic license. So, I decided to write my historical stories first as books. Q: In what ways do you think your careers have impacted your writing in terms of its subject, style and quality? The Frontlines series has certainly giving us more than a few epic moments and encounters between the humans and their alien invaders, and Marko Kloos returns in force once again to expand on his universe and continue the story of humanity's struggle to maintain its own existence. 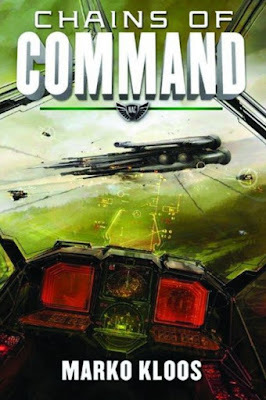 In this latest entry into the series, Chains of Command, we take off about a year after the previous book, Angles of Attack. We are introduced to Grayson and Halley who have now become drill instructors, filling in the ranks of Earth's decimated armies. Needless to say, neither one of them is one hundred percent thrilled of being away from the action, even if it means that they actually get to build and lead normal lives with the same joys and pains as the rest of us. It is soon discovered that Lankie forces are amassing on Mars, evidently preparing for an assault on Earth, and so is born a risky dilemma: to send an underpowered space fleet in hopes of knocking them off the planet, or pursuing a group of treacherous rebels who have seized valuable war assets in their separation from Earth. And so, Grayson is called back into action once again to accomplish an impossible task, putting himself and Halley right back into the middle of the action, their natural environment.